It’s been a long time since the Google team felt a real need to provide a mobile friendly algorithm for users to have access to various websites around the world. The algorithm these days is the talk that is catching up fast because the search giant is ensuring a release of another algorithm in the month of April. Webmasters are now getting ready to prepare websites that meet the requirements. The design is already set out to ensure the mobile users have a good enjoyable experience while they search any website and want information. They want to ensure a good experience just like one would have on a desktop. What is the new algorithm all about? All the buzz surrounding the algorithm represents that the new algorithm is here to provide good online ranking. These days mobile optimization has increased to a maximum level and to ensure that websites get good rankings, Google is striving hard to satisfy webmasters demand for a good ranking. So now a website must be more mobile oriented than it was ever before. Apparently, mobile users have increased and so are the search from mobile, this only makes it inevitable that websites also make a smart move and become mobile friendly. With millions of online buyers and sellers and marketing products, websites also want to gain more clients and provide a good online experience from their mobiles and help them stay there to get information and complete business and be more competitive. 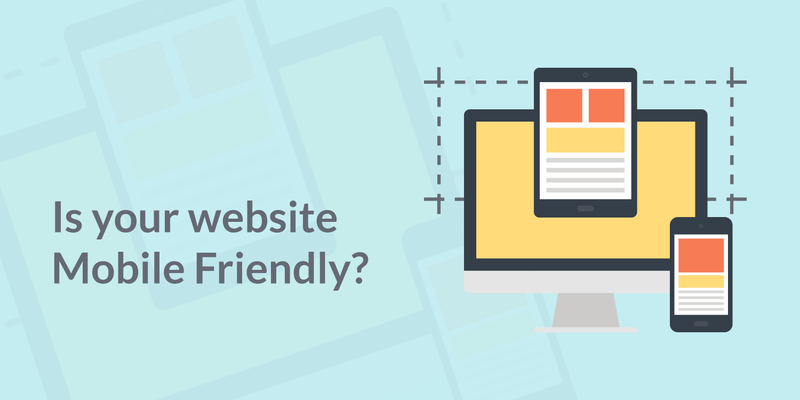 Google has made its venture into the new algorithm just to help websites more mobile friendly and help you know which areas of your website need to be worked on for a better online experience. Get to know the facts that you need to consider and help grow your business in this direction. The smaller screen of the mobile need better clarity and fonts along with suitable images that help to assure a more business oriented experience. Google says you can have a mobile friendly page if, you have font sizes that are mobile friendly or readable content possible from mobile. This can help rankings. Besides, there are other factors that can also determine ranking. Your website success begins when your website is mobile friendly to match the new algorithm of the Google. The text should be big enough to be readable and the font size too makes a lot of difference. Zooming is not the solution as it can be frustration and waste or time, which can also make the client go away from the website. That is why Google wants the web owners to check this factor for better ranking. The next factor is the space that is left after and even before the links. Clicking on links can sometimes be annoying on touchscreen and that is why enough space is a prerequisite. Pay attention to the layout as well considering that it has to be showcased on the mobile screen, while you also keep in mind the desktop users. You have to be aware of both the worlds to ensure good rankings and so having two sites, one for mobile users and one for desktop users is the solution for a good ranking. Another attribute is to allow shorter description and even pages. Longer the description will mean running away of the potential client. Emphasize on shorter ones with precise description. Do not forget the speed as you need to focus on it too, because once the algorithm is out in April, your rankings will be visible and you have to work on it faster. Description is important – check if there is a gray label which is mobile friendly. If it shows in the search results and you can see it, then it is recognized as a mobile friendly website and if not it is not friendly for mobile users. Make use of the mobile friendly test to check a few pages or the webmaster tools that provides a list of issues relating to mobile usability with the use of mobile usability report. It is also important to allow HTML banner on pages so that users can go to the site if they are not interested to download site’s native app. Cross links also are important and should point to the right page when asked for. Any user who is linked to either the mobile version or the desk top version should be allowed the right access that is needed. Ensure quick loading of pages on the mobile. The speed should be faster so that users are not frustrated and leave page. Check Google PageSpeed insights to see if the page speed is right. There are other guidelines provided by Google to check how to avoid mistakes and provide a hassle free mobile friendly website to users. Some sites have URL for desktop users only, but when used on mobile, it shows error. Hence, it is necessary to redirect mobile users to the requested page so that one avoids 404s. The algorithm will be rolled out on 21st April 2015 and is possible that it takes a few more days to go global. Google has announced every website owner to check their websites to make the appropriate changes needed to suit the new algorithm and to make the most of it without losing out on any opportunity provided by Google. Google says that the algorithm is on and off algorithm that is based page-by-page. Therefore, it now focuses on how friendly the website is for the mobile, especially the touchscreen mobiles. In Google Webmaster Tools, our forums were reported as not being “mobile friendly” so we needed to make a change there. We advise everyone to check their Webmaster Tools messages and see if anything is reported about this. Better to be prepared! The introduction of App Indexing is now useful for surfacing content from the apps. The changes followed by the new algorithms will be focusing on search results and relevant app content search. It will be used to check rankings easily and help users get access to information easily and encourage good online experience. Interesting article. It would be nice to see the changes in rankings of sites that are not mobile friendly. As responsive is the Google preferred design pattern, we have in fact developed an entire infographic on this algorithm – http://www.webbymonks.com/google/mobile-friendly-algorithm-infographic.html Do provide us your feedback how you like it? How are we suppose to bid on anything when we can’t even sign in?